The other weekend I went to see some mediums. It was like a medium party, if you will—two mediums and about fifteen people sitting in a circle. The mediums bounced from person to person relaying messages from the other side. So, it didn't look exactly like this. Now, for those of you who don't know, a medium is not the same as a psychic. Psychics are able to ascertain information through purely mental avenues. For example, a psychic may be able to tell your future, or see the location of a missing person, or read your mind. Different people with different psychic abilities will explain their gifts to you differently. Not being a psychic myself, I won't try to imagine how it's done. Mediums, on the other hand, are able to communicate (through various means) with deceased people. Many mediums believe that spirits (deceased people) exist in another world that cannot be seen or experienced from our physical plane. Spirits talk to us for many reasons, but mostly to communicate love and comfort. This was only the second time I've seen a medium. The first time, frankly, was a better experience. That was a group of three family members with one medium in a private room. We were able to better flesh out (lol) the experiences and messages. In a larger setting, messages are more vague, because you don't really have the time or space to dig into what the medium is relaying. I've always understood mediumship to be very similar to reading tarot cards. The medium is presented with many symbols (seen, heard, smelled, felt, etc.) and is saddled with the task of interpreting them and relaying a coherent message to the person. Almost anyone can receive these symbols to varying degrees in their life, but it takes talent and intuition to interpret them. Certainly, there are mediums who are gifted such that they need to interpret a lot less. But they are hard to come by (it's not really a popular career field). Now, I'm not saying I had a bad time this past weekend. To the contrary! I actually learned a lot. One of the most important things I learned was that I'm not alone in my struggles. Frequently, it seems, I feel like I am especially lost in this life, but judging by the types of messages given to others, I'm not. I'm just "regular lost", with lots of company. We're all on a journey. 1. When people pass to the other side, they again remember what they were doing in the first place. Spirits travel to the earth to learn and grow. Back on the other side, feelings of anger and jealousy and sadness melt away—there isn't any need for them. Regardless of what happened in life, your deceased loved ones love you and wish the best for you. And if you ask them for help, they will. 2. Even if you don't believe in life after death, there's nothing you can do anyway, so you're only torturing yourself with emotions. I first came to understand the afterlife as I do through the work of Sylvia Browne. She was the only TV psychic who I just believed. I don't know what it was about her—maybe just that she was so sure of everything she said. And I believed. My beliefs were confirmed when I learned about Spiritualism. 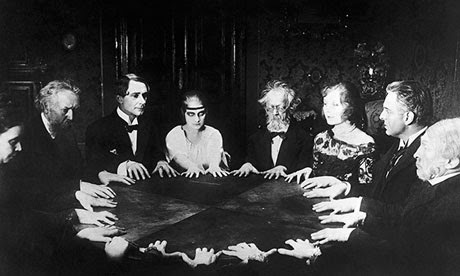 Spiritualism is a religion that sprung up very close to where I've lived all my life (the burned-over district) that believes in cognizant life after death, and the natural ability to communicate with the deceased (mediumship). Mediumship can be learned by anyone. 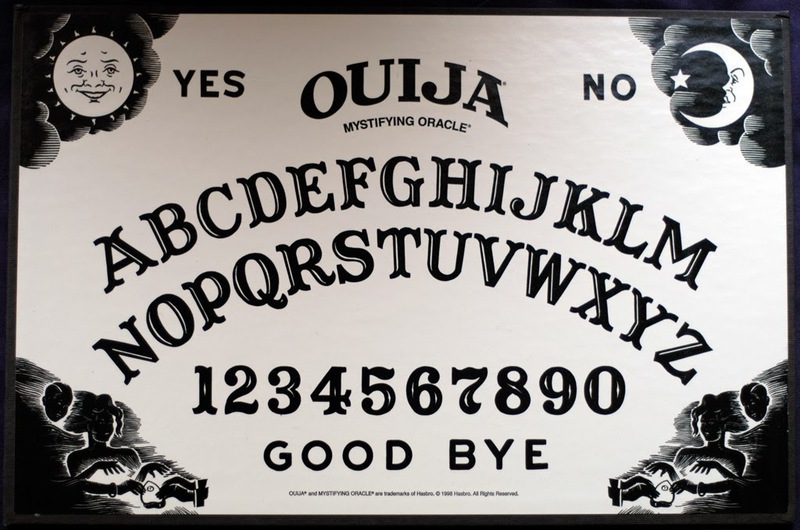 Tools like spirit boards and tarot cards can help open communication. Which I find so fascinating! It would be amazing to see/hear/feel your loved ones, your spirit guide(s), and anyone else who wanted to stop by. Maybe I could gain insight, maybe I could firm up by beliefs. Who knows? I'm always interested in activities that expand the capacity of our brains. And I guess that's what draws me to spirituality. It has always seemed to me to work as mind and brain expansion (note that spirituality is not the same as blind faith). Certainly, I can't write a blog about passion and exclude this. For me, spirituality is a very personal developmental process. I've never been drawn to a church in any lasting sense, and I have a hard time staying active in online communities. My social needs seem to constantly be in flux. But that's okay! Some of these are social sites, some are schools, some are resources on meditation. These are all integral to my spiritual practice. Please share your thoughts and resources below!